Arthritis is the leading cause of long-term disability in Canada, with osteoarthritis being the most common form of the disease. It is estimated that 14.2 per cent of Canadians suffer from osteoarthritis. "Currently, we do not manage this disease well at all," said Arash Panahifar, a post-doctoral fellow at the University of Saskatchewan, Department of Anatomy and Cell Biology. "Unfortunately, the best we can do for these patients is to treat the symptoms with pain killers and watch as the entire cartilage thickness is degraded and the joint cannot function any longer." At times, the joints can be replaced through surgery, but the goal is prevention. "A major problem with osteoarthritis is its late diagnosis, when the disease is so advanced that we can't do anything to stop it." 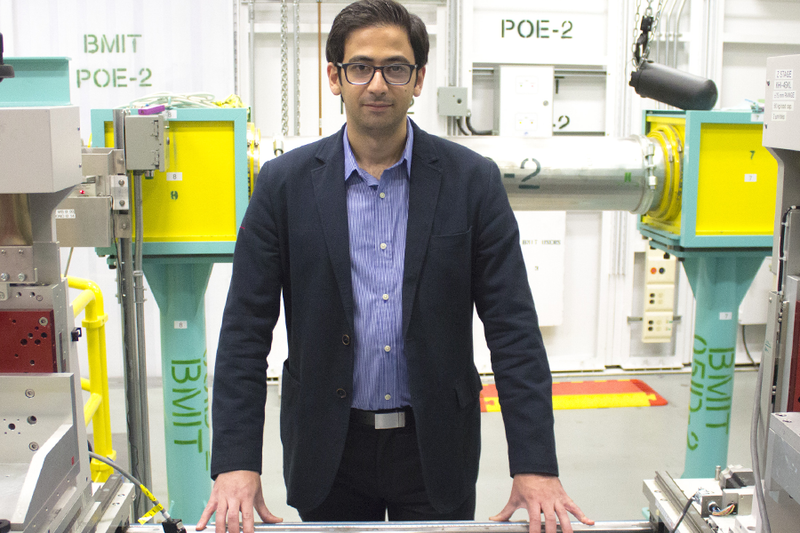 Panahifar, along with Canadian Light Source, University of Alberta, and U of S scientists, are trying to diagnose osteoarthritis at its earliest stages using unique three-dimensional synchrotron imaging techniques on the CLS biomedical imaging and therapy beamline (BMIT). He said that while there are some two-dimensional techniques that can also detect the osteoarthritis markers in bone, to fully understand the mechanisms of the disease, we need to map the bone and changes in its structure using a 3D map on BMIT. To better understand the cause(s) of osteoarthritis, Panahifar and colleagues used a "tracer" of strontium to label early changes that were happening in the knee joints that were developing osteoarthritis. When they looked at bone in the stunning details available from BMIT, the healthy subjects looked very different to those with osteoarthritis. The tracer was distributed uniformly in honey-comb like structure of healthy bone, while unhealthy subjects showed pathological changes occurring in the bone microstructure. The unhealthy bones showed the tracer in the areas directly beneath the cartilage as well as at bone margins (bone spurs), marking active bone turnover in those regions as the disease was progressing. Those bone spurs grow rapidly and eventually limit the normal movement of the joint, leading to disability and pain. Panahifar thinks the techniques he has helped develop can help pharmaceutical companies to design effective drugs for the treatment of osteoarthritis. "This technique can also be used for research into other bone diseases, like bone cancers and metastasis," he said. "I would like to make a difference in the way bone diseases are diagnosed and treated, and to develop methods for novel therapeutic approaches, potentially at the Canadian Light Source."